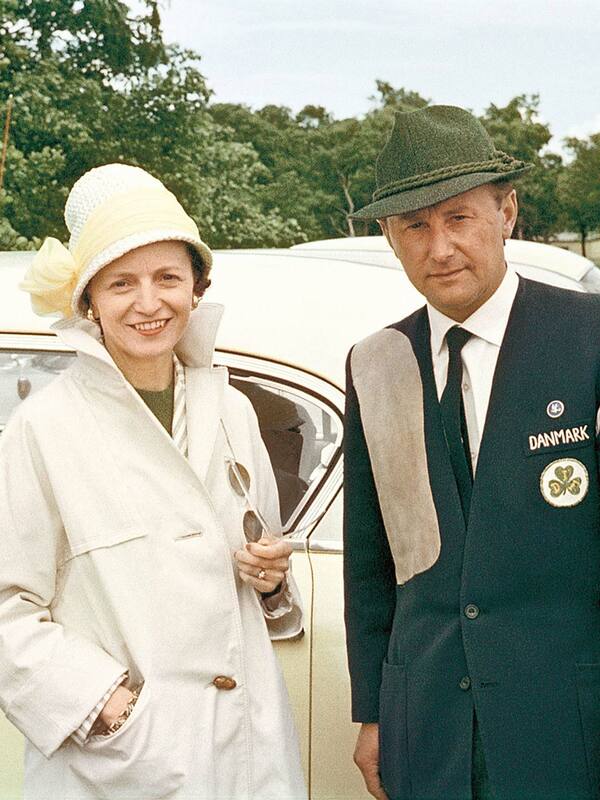 The Vipp story begins in 1939 with a bin for Marie. Holger Nielsen, a young metalworker crafts a sturdy, pedal-controlled bin for his wife's salon. 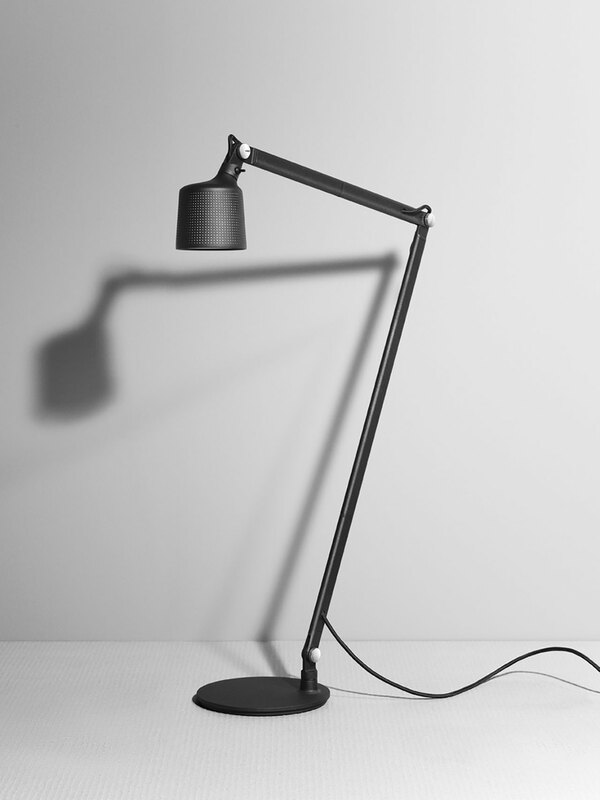 Over the next 50 years it becomes a permanent object in Danish clinics. 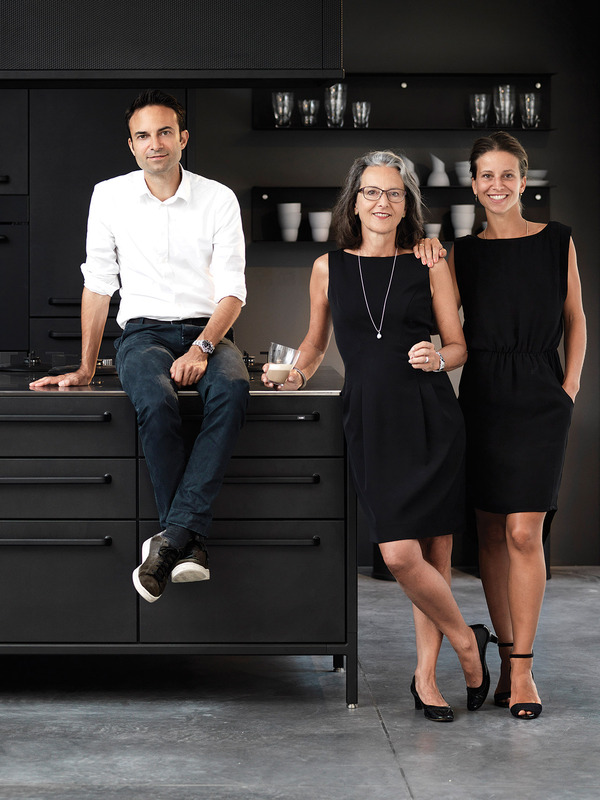 Today, still family-driven and family-owned, Vipp has grown into a large portfolio of industrial design products developed from the functional philosophy of the pedal bin. 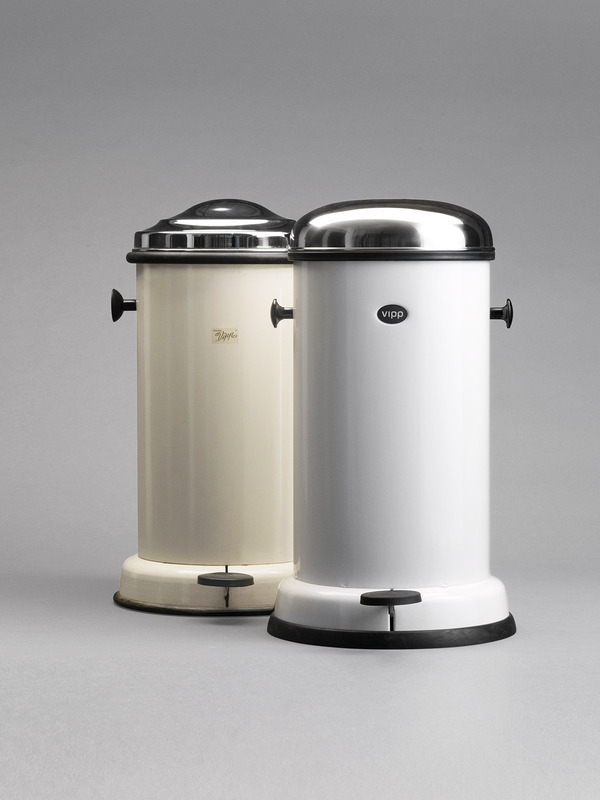 In 2009, the bin was accepted into the permanent design collection at the MoMA in New York - the only place in the world where the bin is just for decoration. 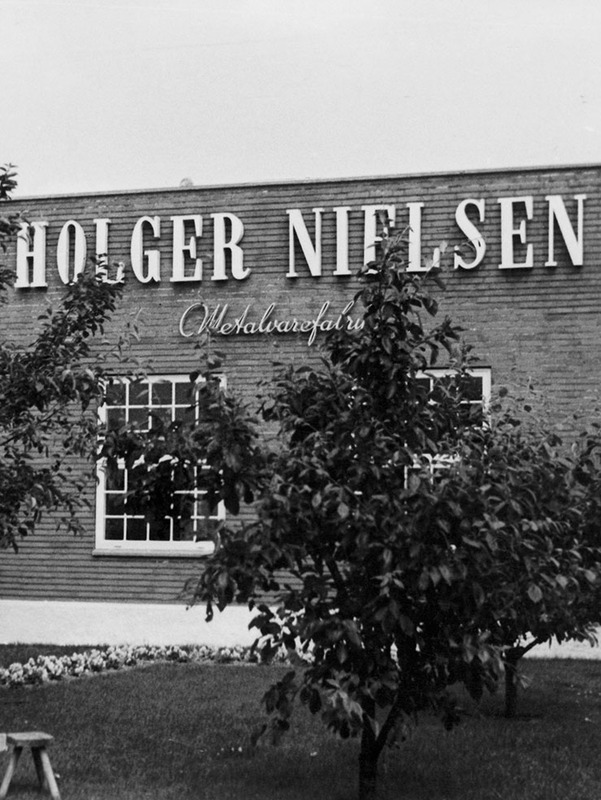 On a spring Sunday in 1932, 17-year-old Holger Nielsen wins a car in a lottery at the local football stadium. 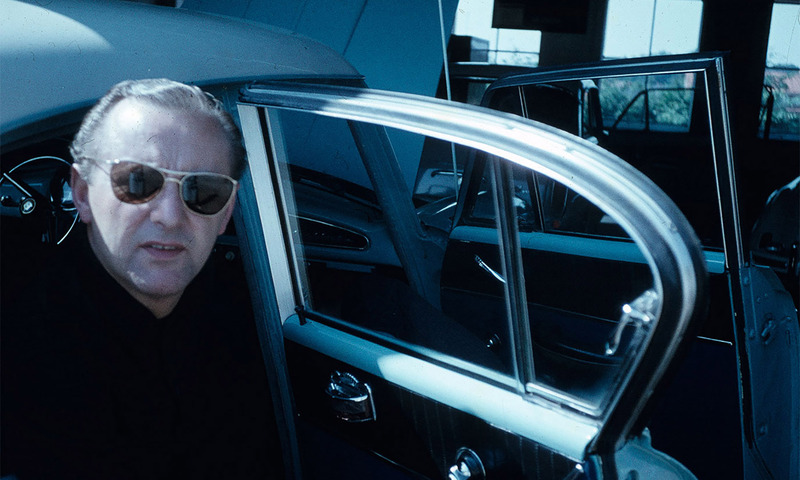 Holger loves cars, but has no driver's license, so he decides to sell the car and invest the money in a metal lathe that allows him to work with one of his great passions - steel. As a newly educated metal smith with a newly invested methal lathe, Holger builds his own metal factory in the small Danish town of Randers. Withdrawn in his metal workshop during the day and a vivacious ballroom dance instructor after dark, Holger believed that you could learn anything your set your mind to. 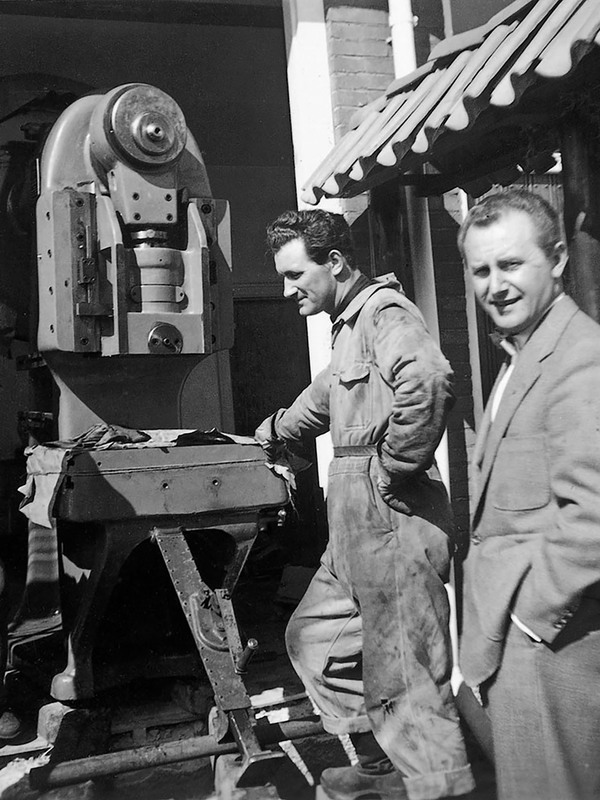 His father being a coppersmith, Holger grew curious of good craftsmanship and was educated as a metal smith in the 1930s. 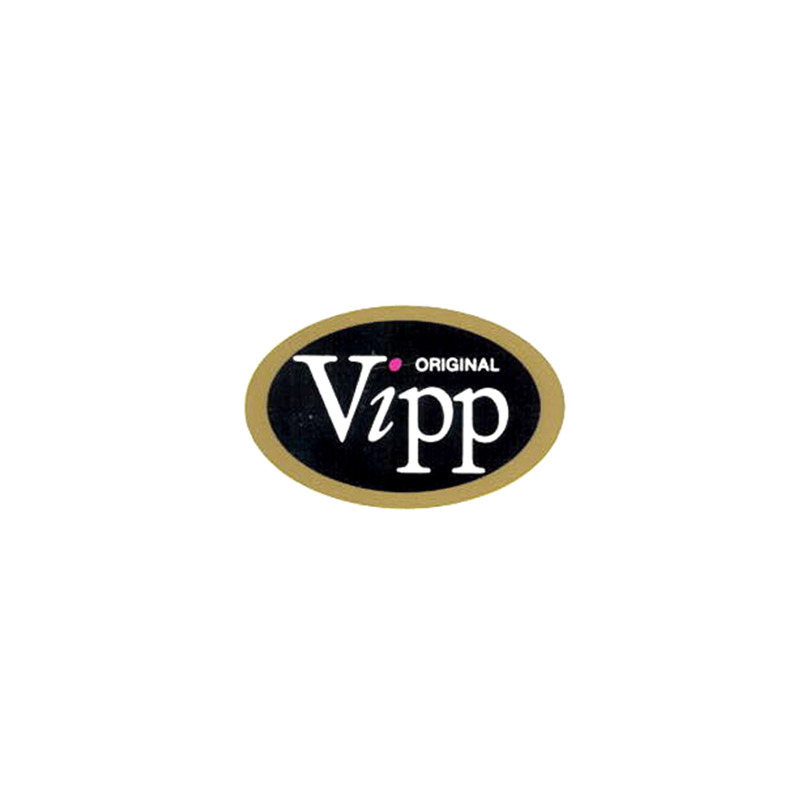 The Vipp bin was never intended to be sold. Originally, it was made as a tool for Marie’s salon only. However, many wives of doctors and dentists have their hair done at Marie’s salon and find the practical Vipp bin ideal for their husbands’ clinics. 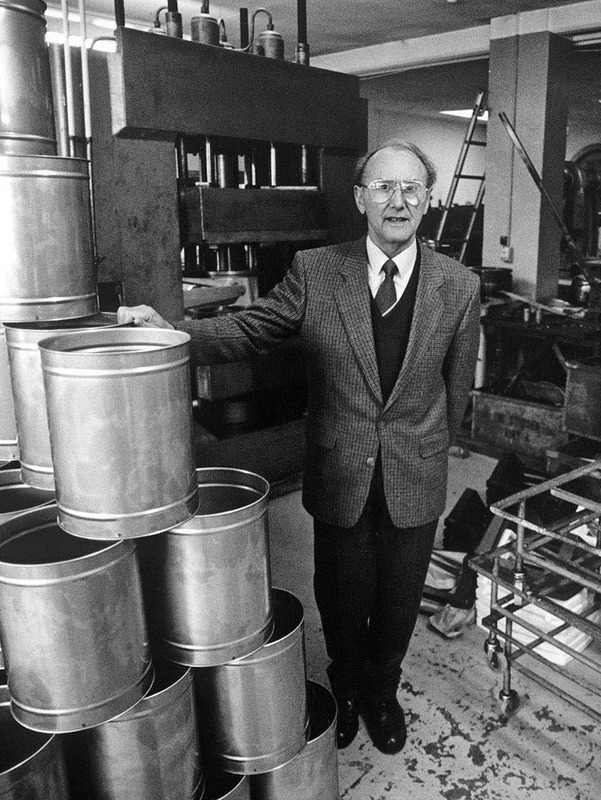 The request for more bins prompted Holger to start production on a larger scale. 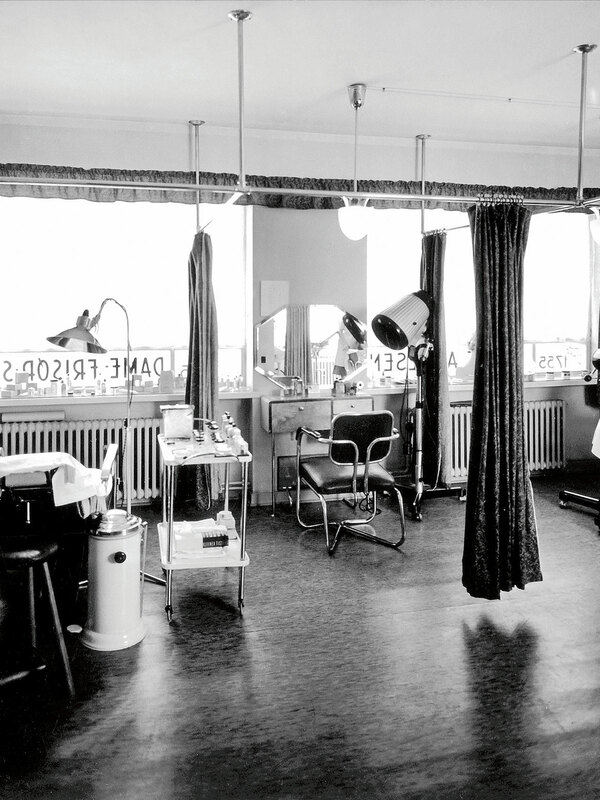 In the 1940s and 1950s, the pedal bin becomes a permanent feature in Danish clinics and remains a prerogative for the professional market for the next 50 years. 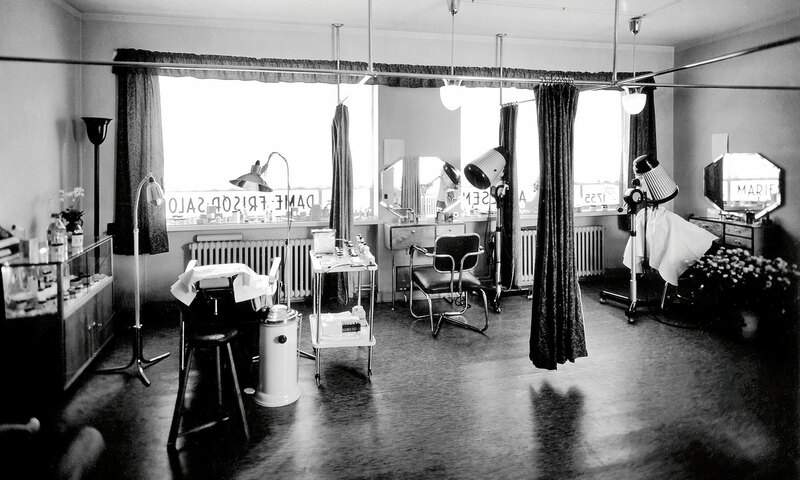 A skilled metal smith, Holger equipped the whole of Marie's hair salon with solid steel products that later went into production. Here, pictured in an ad from the 1950s, are holders for hairdryers and tissues. 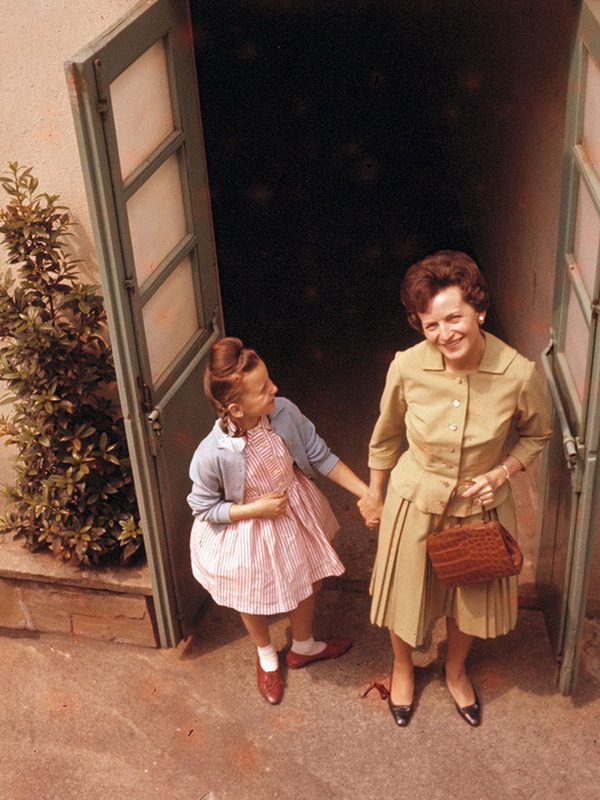 In the 1940s and 1950s, the pedal bin becomes a permanent feature in Danish clinics and remains a prerogative for the professional market for the next 50 years. 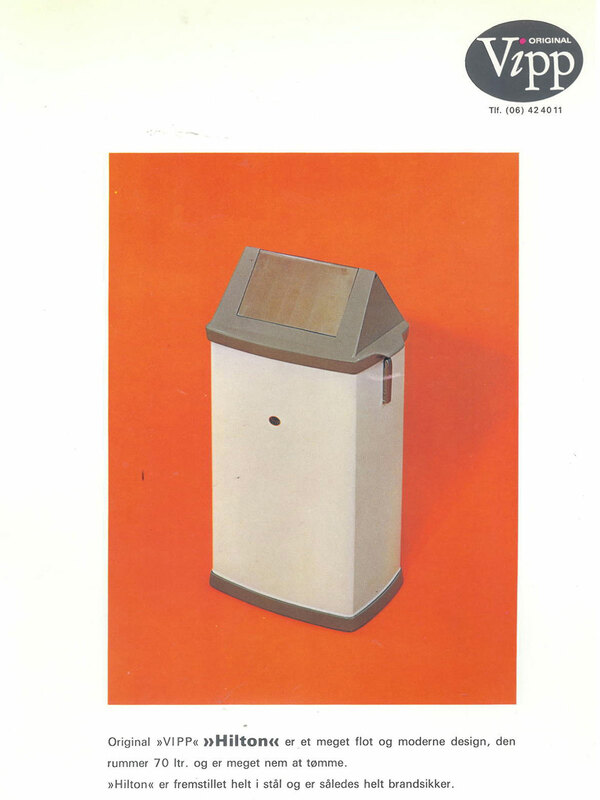 Here, pictured in an ad from the 1950s, is Holger's 'Hilton' bin. 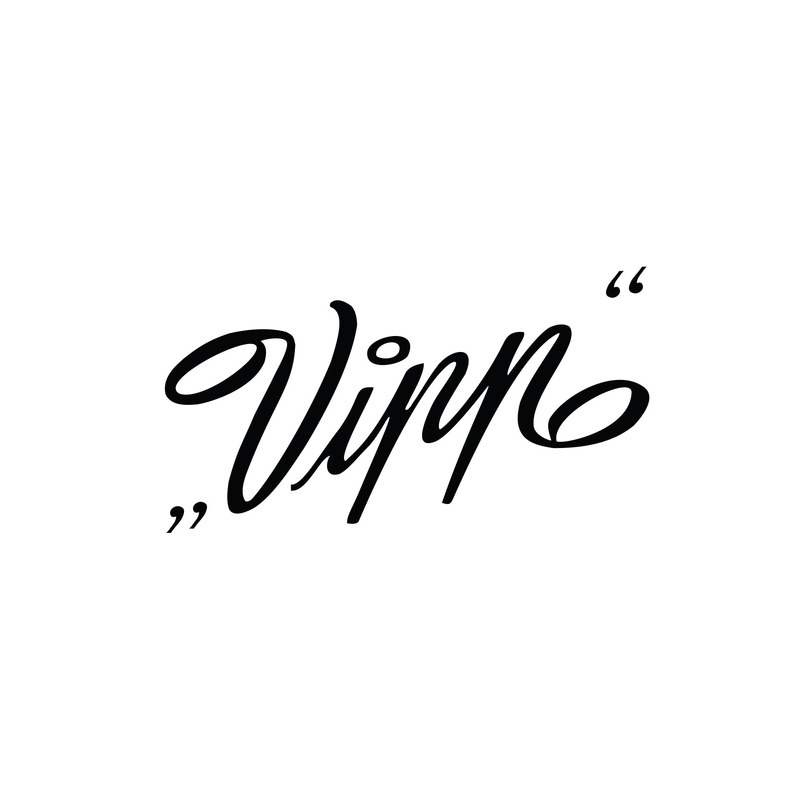 In Danish, 'vippe' means 'to tilt'; it describes the movement of a bin lid. 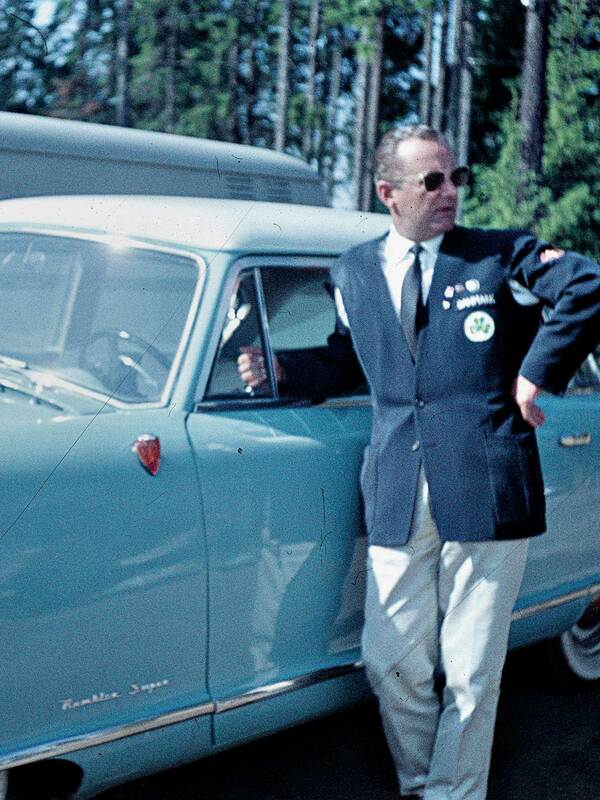 Jette Egelund, daughter of Holger Nielsen, is convinced that this must have been her father's inspiration for the name. 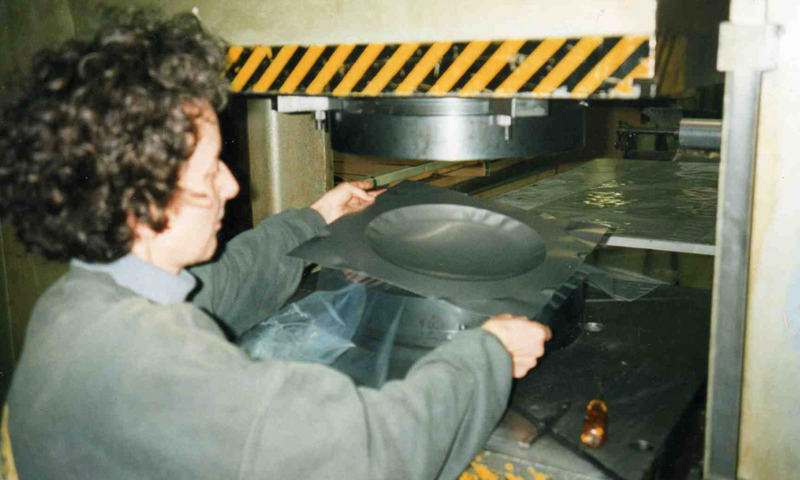 Due to new production techniques in 1949, the lid changes form. 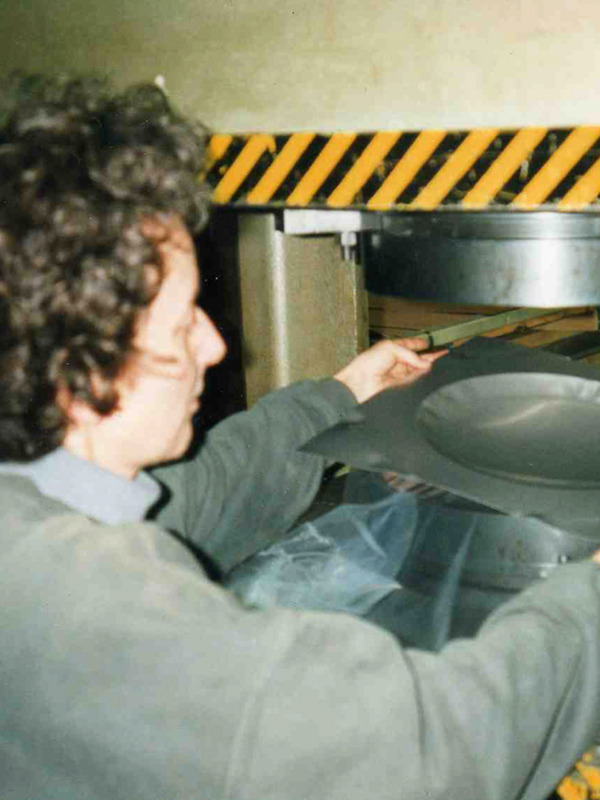 Instead of a wavy welded lid it is now stamped out with a rounded shape. 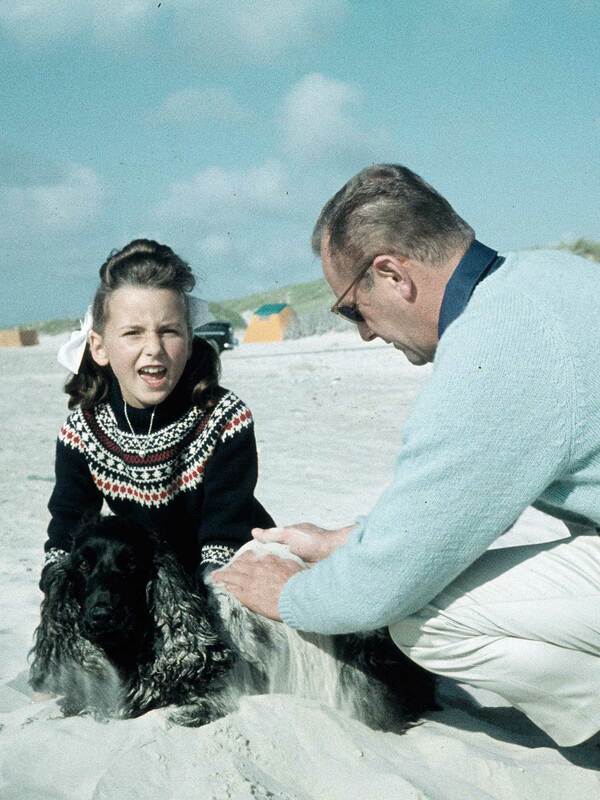 Jette Egelund is the youngest daughter of Holger Nielsen and she was born 11 years later than the bin. 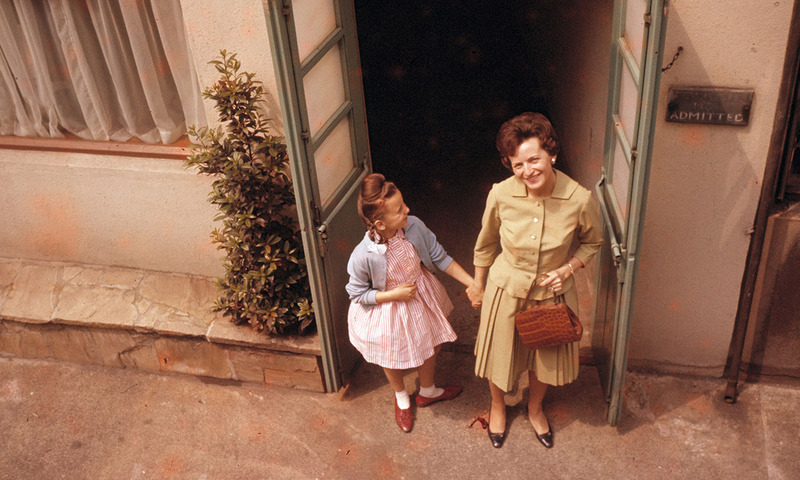 Jette grew up with the bin; the Vipp factory was placed in the backyard of her childhood home. In 1992, Jette takes over her father's company with only one other employee working in the metal factory. Here she learns how to produce bins all from scratch. Having grown up with the bin used in her childhood home, Jette has a dream - she wants others to enjoy the bin in their home as well. 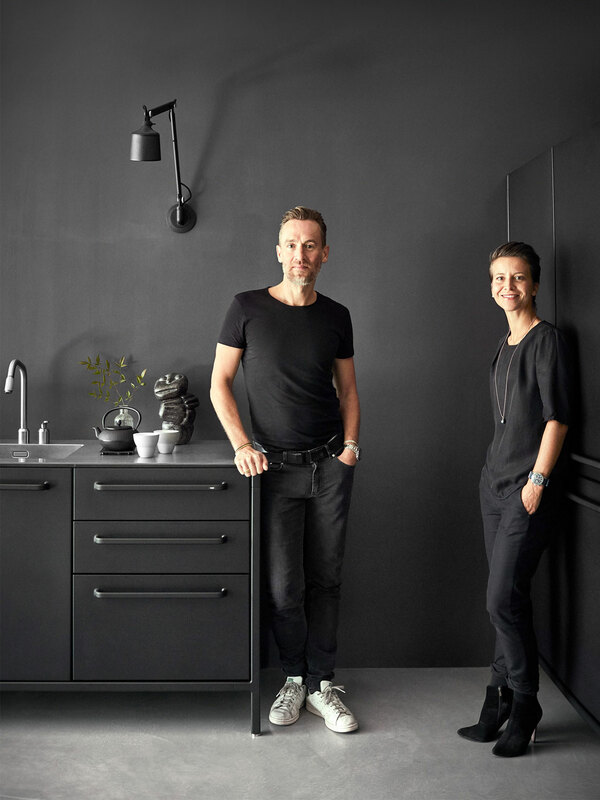 Together with her two children, Kasper and Sofie, she sets out to bring Holger’s principles of functionality into the private home. 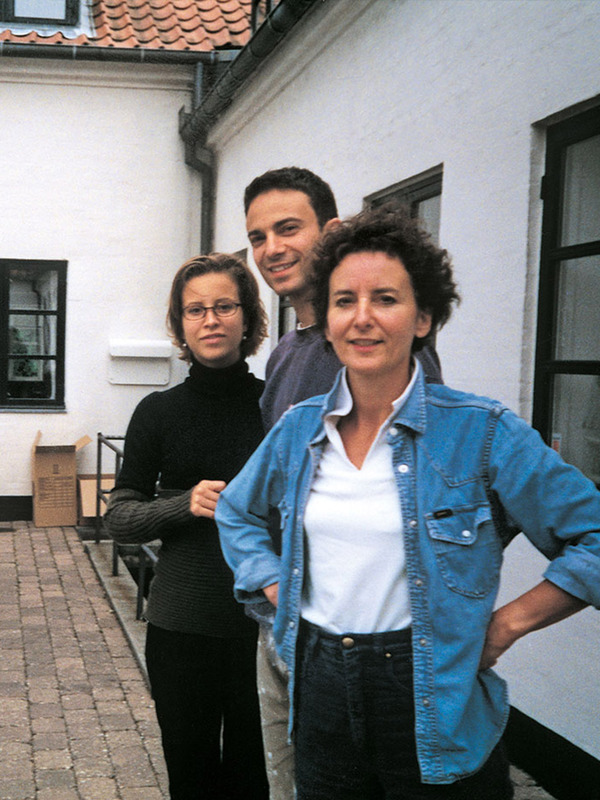 20 years later, Vipp is still family-driven. Kasper’s education within business and leadership means he today acts as CEO of Vipp. Sofie has an education in graphic design and has developed Vipp’s visual identity. 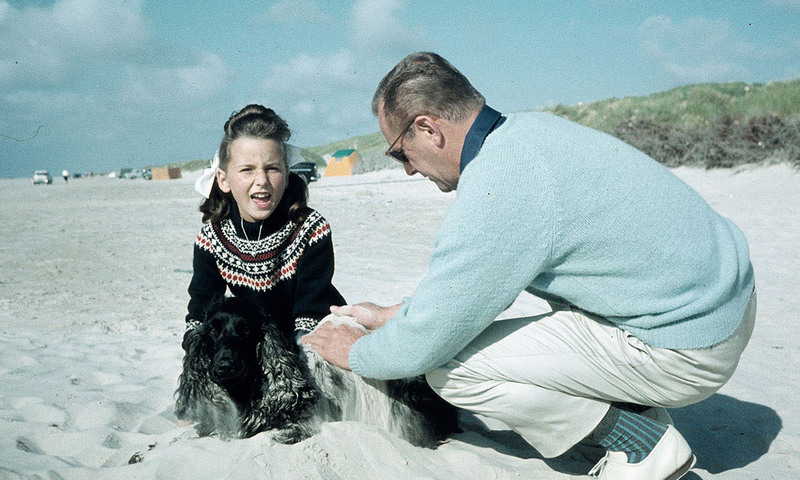 With the Vipp bin under her arm, Jette does something her father never did - visits customers. She visits the finest furniture and design shops in Scandinavia. In Denmark, very few recognise the potential of a “dentist bin”, but Jette’s determination is rewarded. 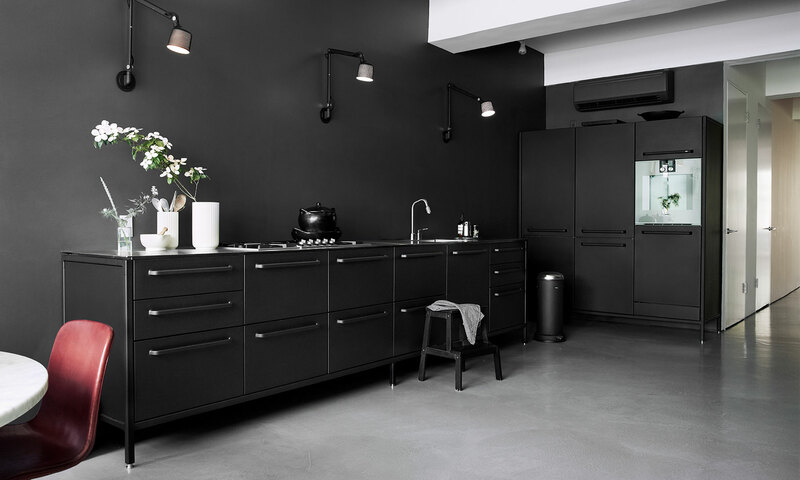 Abroad the bin is recognized for it’s Danish, industrial design and when The Conran Shop orders bins for their London and Paris stores, Jette knows she is on the right track. 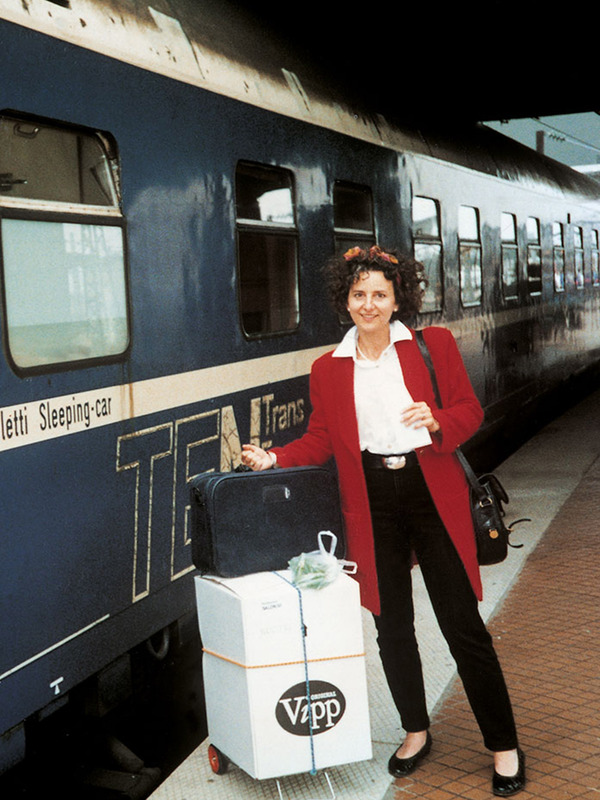 When Jette designed the toilet brush, she had no drawings or specifications, just knowledge of the materials and a desire to work with the ingredients of her father's bin in a new way. She started out by modeling the shape of toilet brush from a drainage pipe and went on from there. 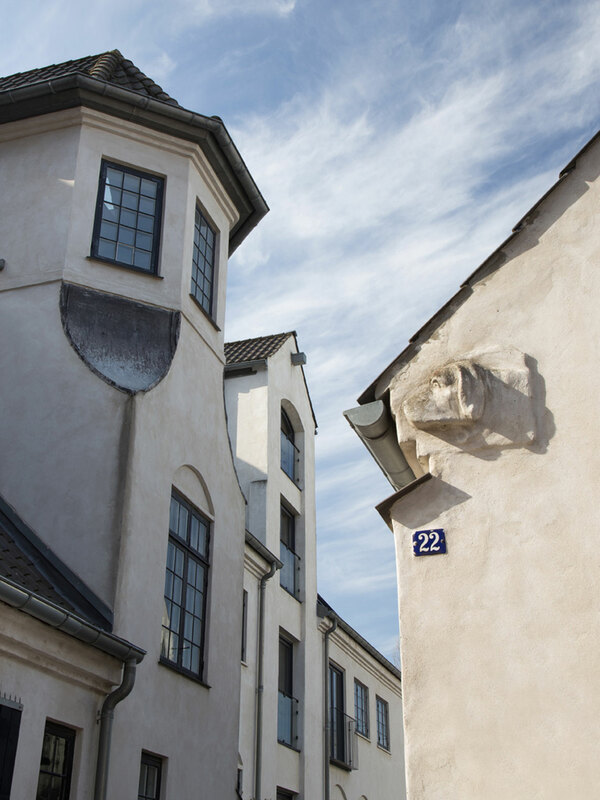 An old printing factory in the industrial area of Islands Brygge in Copenhagen is transformed to the new headquarters of Vipp. 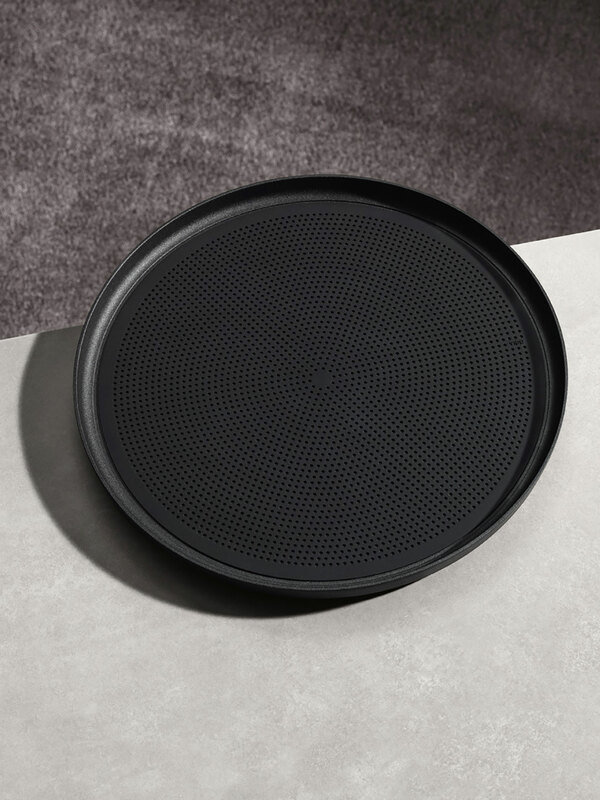 In 2006, Chief Designer at Vipp, Morten Bo Jensen, was entrusted the task of carrying Holger’s legacy into the future. His first Vipp product was a laundry basket. 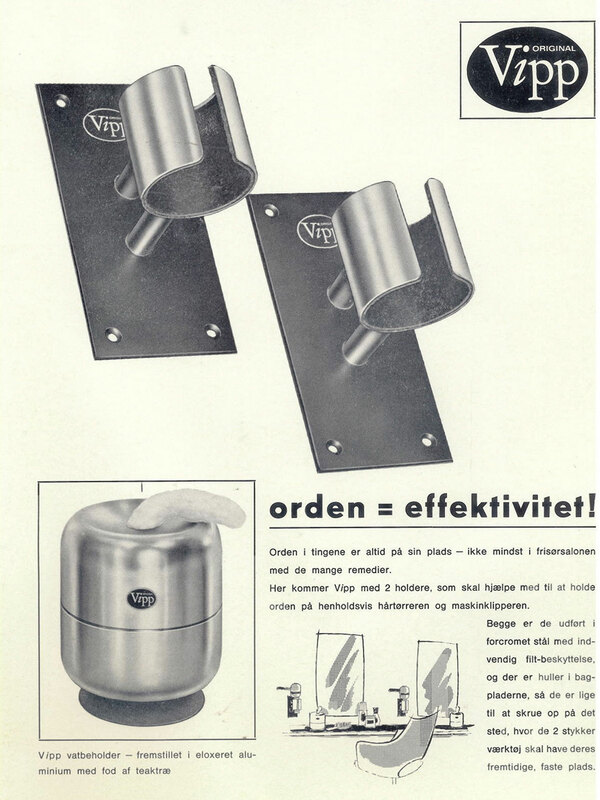 Since 1939, the Vipp product family has grown into a wide range of products for the kitchen and bathroom. 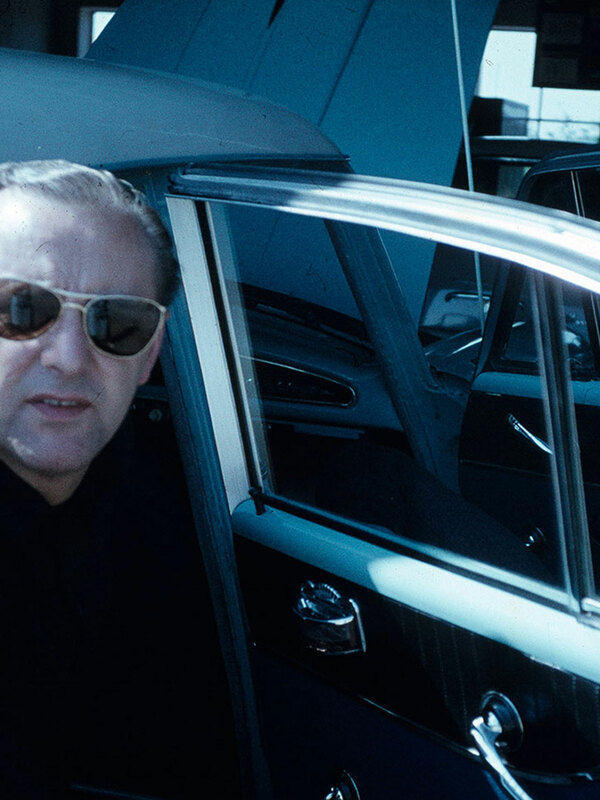 Since 1939, the Vipp product family has grown into a wide range of products for the kitchen and bathroom inclusing a series of light instruments. In November 2009, the Vipp pedal bin is accepted into the permanent architecture and design collection of The Museum of Modern Art in New York (MoMA). 'It's a true humble masterpiece. 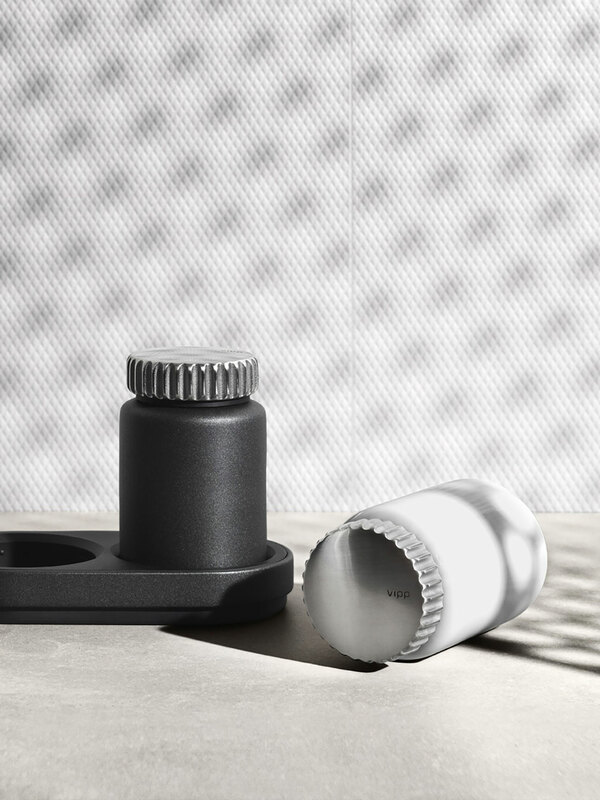 The no-frills industrial aesthetic and efficient pedal exemplify good design', says Chay Costello, associate director of merchandising for MoMA. 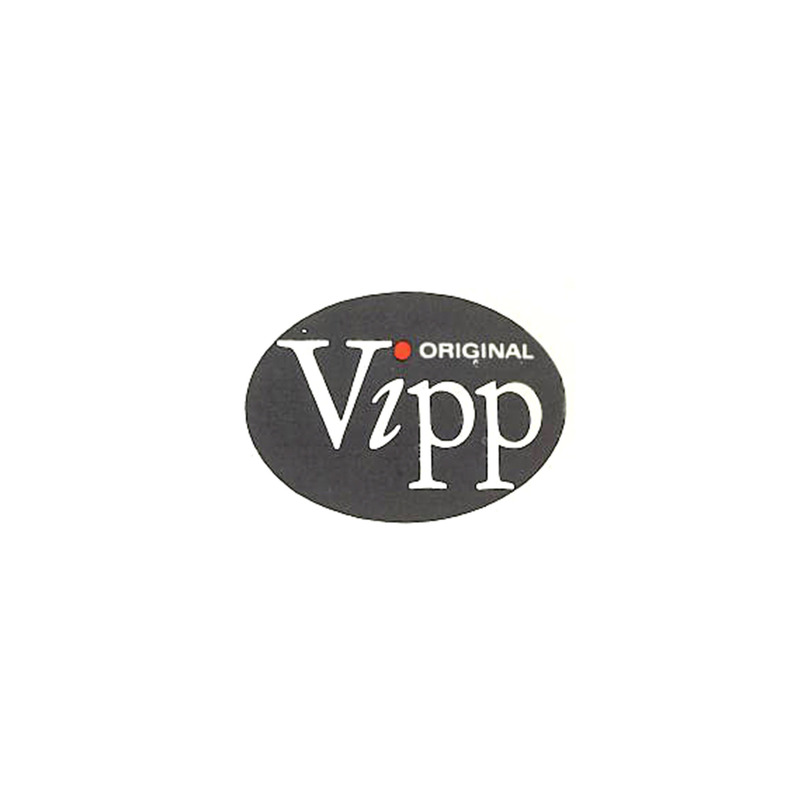 The first Vipp logo was handwritten by Vipp founder, Holger Nielsen. 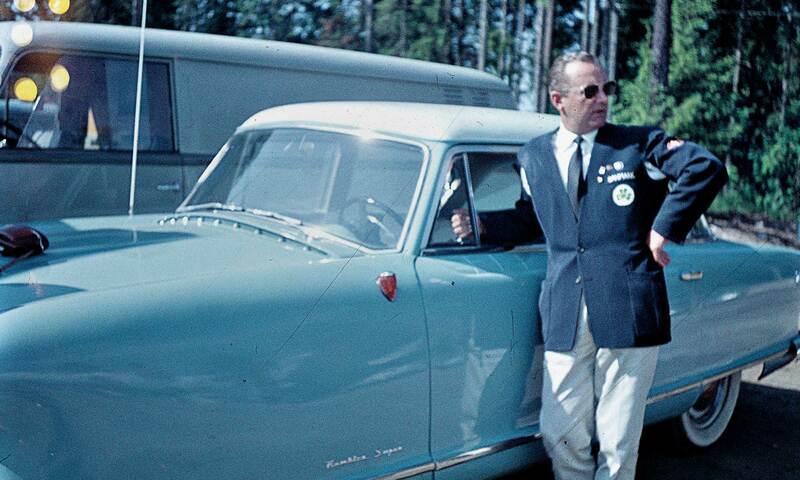 He altered it twice during the 1950s and 1970s, after which his daughter, Jette, modernised it in the 1990s. 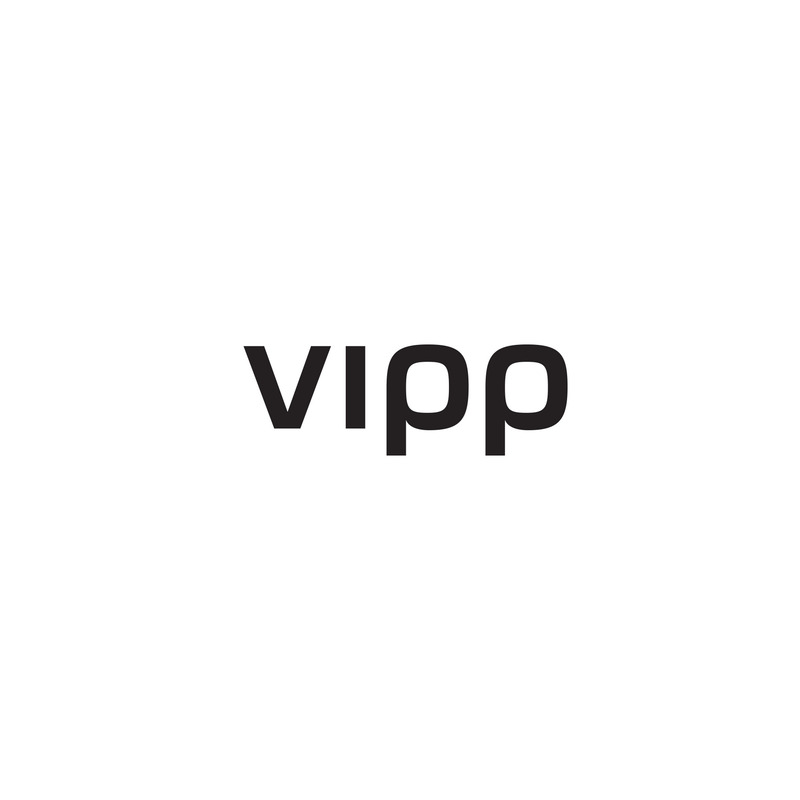 Since 2000, Vipp has sticked to the same logo designed by Holger's granddaughter, Sofie Egelund, who is educated as a graphic designer. A selection of kitchen modules designed down to the last detail. Even gas knops, grips, cooking hood and tap are designed by Vipp. 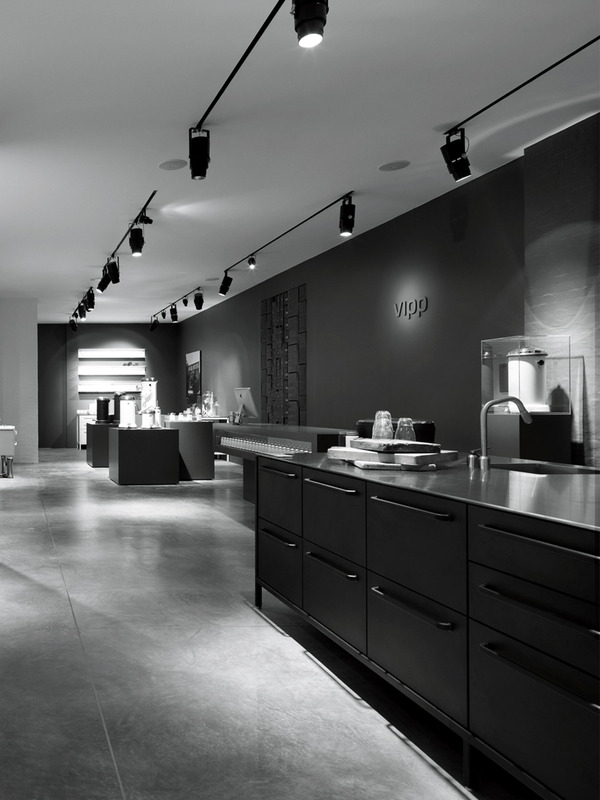 In December 2011, Vipp opened its doors to the first Vipp concept store in the centre of Copenhagen. 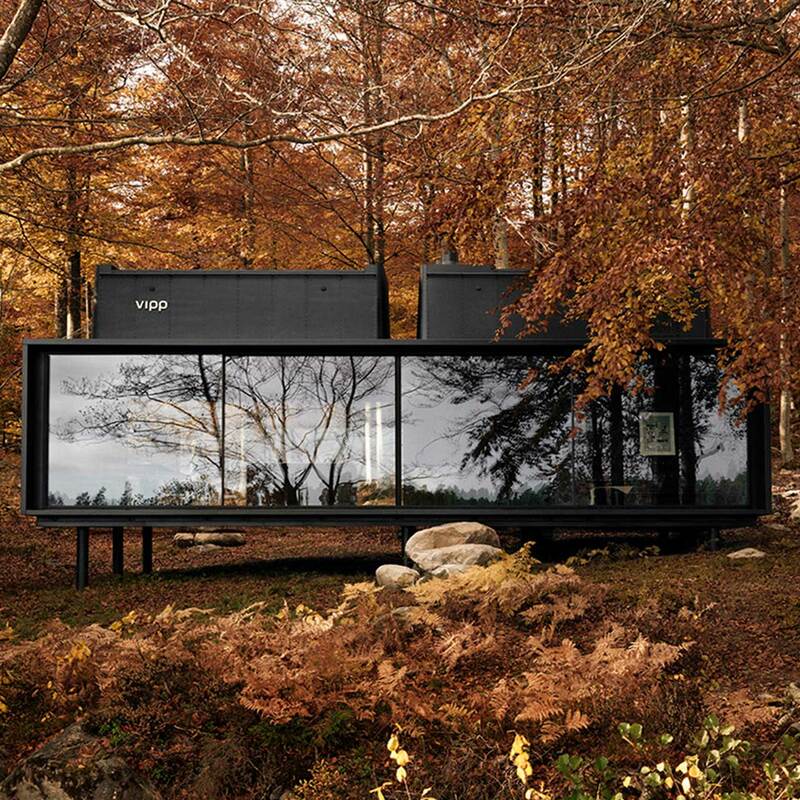 Imagine a nature retreat designed down to the last detail, with all the necessities and nothing more. A plug and play getaway where the landscape is purposely framed, turning it into the predominant element of the interior. A 5-star camping escape from urban chaos where you can recharge your batteries. 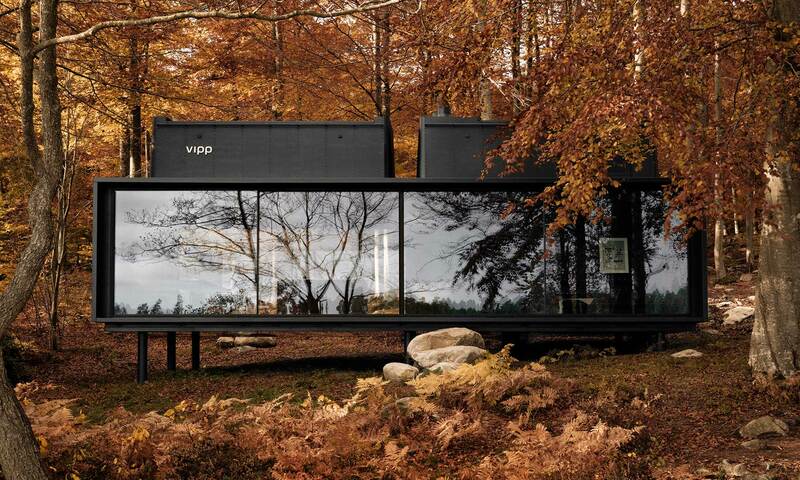 We imagined it like this, and named it ‘the Vipp shelter’.